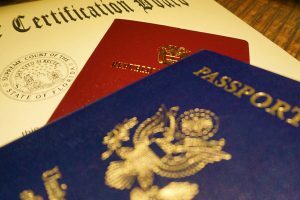 If you intend to study, live, work or do business in another country, it is almost certain that you will need administrative documents such as contracts, audits, general conditions, birth certificates and education diplomas translated into another language. Some of your translations may need to be certified, notarized, or even performed by a sworn translator. If all this sounds a little complicated, don’t worry, we talk you through all the various requirements and procedures right here. First of all, it is important to know what other specific steps are required to ensure the translation is valid and can be used for its intended purpose. This process may not be as simple as it seems, so first of all, it’s important understand exactly what the document is going to be used for, and how it can be made official and acceptable for use. You may be told that your translation needs to be ‘certified’ by a professional translator or translation agency. The definition of a certified translation may vary depending on the laws of the country concerned. In this article we will look at what certified translation means when dealing with the Chinese legal system. 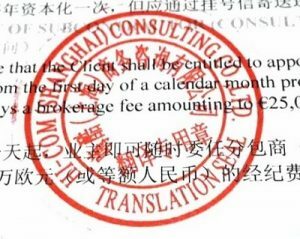 If you are applying to study, live, work or start a business in China, you will most likely be asked to provide a translated copy of various documents. In China, the only way to guarantee that your translated documents will be accepted by the Chinese Government is to have them translated by a government approved company which has the right to provide such services. HI-COM is competent to perform translations from Chinese to English and the enclosed document is the complete and accurate translation of the original. 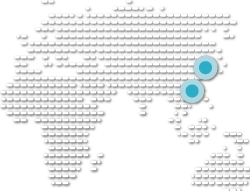 As well as a signature and a stamp, the translator or translation agency is also expected to add the date, and their contact information. Make sure you also check to see if additional documents (such as a copy of the translation company’s business license) are required. Your certified translation may also need to be notarized, although this requirement is becoming less and less common. A notarized translation in China is essentially the same as a certified translation, but with one additional step. 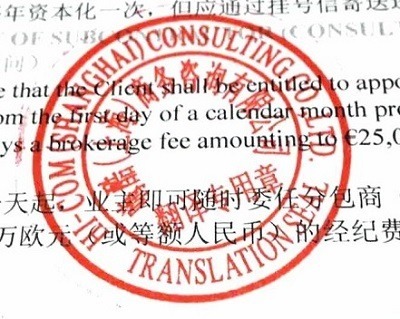 The translation company must sign the certification statement in front of a notary. It is important to note that the notary’s stamp and signature are notarizing the certification, not the content of the translation itself, as the notary is unlikely to understand the language in which the original text is presented. Therefore, the translation company is not liable for any damages in the event of an inaccurate translation. In some countries (excluding China, the US and the UK), official documents are required to be translated by a sworn translator, so before you begin it is important to do some research on the legal requirements of the specific country for which you need the translation. As an example, we are going to look at the sworn translation system in France, and how it works. In France, a sworn translator or expert interpreter-translator (ETI) is a government official whose role is to certify that a given text is a faithful and accurate rendering of an original document. With the authorization of the Ministry of Foreign Affairs, the sworn translator is also involved in administrative and legal matters by translating legal and official documents. 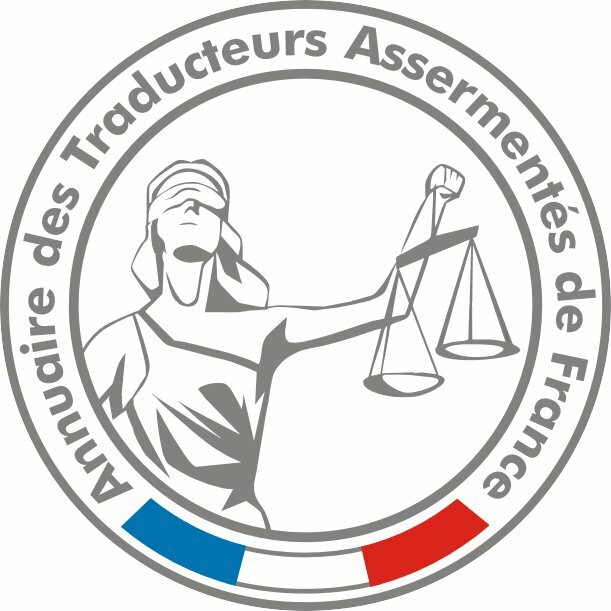 To become recognized by the French legal system, sworn translators must first obtain a professional translator’s diploma by taking a five-year university master’s degree course in one or more foreign languages or by studying at an institution specializing in the relevant language(s). Amongst other requirements, they must also be over 18, and without a criminal record. They must then submit an application to the public prosecutor, after which the police will carry out a check on their history, interview the candidate to check the information of their application, and then send their file to the relevant Court of Appeal. If the translator is successful with their application, and after taking an oath, they then receive the title of Sworn Translator, which is valid for 5 years and can be renewed accordingly. They will then also be added onto the official directory of sworn translators. Unlike a certified translator, a sworn translator will be held legally responsible in the event of a serious mistranslation, and will be under penalty of perjury if they translate forged or false documents. Therefore sworn translators are extremely conscientious and rigorous in their work, and deem it necessary to take out professional insurance to be defended in case of perjury. As a result of these extra responsibilities, as well as having to go through the long and often arduous process of becoming qualified, sworn translators often command much higher rates compared with standard translations. If you are still unsure with regards to the steps to take for your legal and official documents, always make sure you contact an agency or translation expert with knowledge of the legal system of the country concerned before you proceed. The research you put in at the beginning will definitely be worth it!